A few days ago, I watched Richard Curtis’ About Time (2013) – a film which deals with time travel but through a romantic and domestic lens. The movie struck me in two ways – one, in its concentration on only one character who could travel through time (meaning we could still trace his development chronologically) and two, in its message that time must progress (people grow up, move on, die) even if somebody could magically have the power to warp it. In these two points, the film’s play with time seemed analogous to many Victorian novels and particularly to a novel I’ve been reading recently – Thomas Hardy’s 1871 Desperate Remedies. Immediately after this line we are confused by the introduction of another Graye (Ambrose, not Cytherea) and another Cytherea (Bradleigh, not Graye), while no Springrove appears at all. Yet, Hardy’s opener is a stake in the ground, alerting us to who this text will centre on and indicating that what will be related about these two characters – Ambrose Graye and Cytherea Bradleigh – is purely prefatory. There is something else, of course, which alerts us to this. Hardy starts each section by indicating the timeframe it will take place within. This means we know this first section is to cover off ‘The Events of Thirty Years’. As the novel progresses, events become more concentrated in a period of time. In this first section, Hardy can cover off thirty years in one fell swoop, while the longest periods dealt with after this are ‘The Events of Ten Months’, the shortest ‘The Events of Three Hours’. The historical date (1835) and length of period covered, along with the knowledge that the characters named are not the main protagonists, helps readers label this section as introductory and signposts from the off our reading experience. Why does this matter? A novelist has almost entirely free rein when it comes to time, with readers accepting the pace unquestioningly so Hardy’s headings could almost be seen as unnecessary. 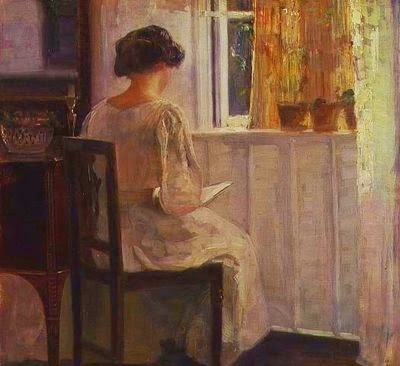 What they do do however is draw our attention to this strange power of the novelist (the time bending and omnipresent narrator) making us hyper-conscious of how the text can speed up or slow at important moments. Nowhere is this more noticeable than in the passage describing the burning of the Three Tranters Inn. A burning heap of coach-grass sets fire to the nearby building, and Hardy traces the slow process which led to the catastrophe, repeatedly drawing our attention to shortening values of time. ‘The hurdles and straw roof of the frail erection became ignited in their turn , and, abutting as the shed did on the back of the inn, flamed up to the eaves of the main roof in less than thirty seconds’ [emphasis mine]. This whole passage is masterfully done, building suspense and making us acutely aware of the novelist’s ability to ration time, while the series of events leading to the fire are like something from a Final Destination death sequence. And it isn’t just natural developments (fire, breeze, the fluttering of a fern) – the human plot also relies on timings and often train timetables, which Hardy describes in minute detail on the night of Cytherea’s wedding. Catastrophe can, and often does, come down to missing a train, misreading a timetable, intercepting a letter carried on a mail-train. Hardy and Hollywood may not seem natural bedfellows but the narratives of both the film and the novel which were on my mind this week are united by an obsession with time, what this means for character, and how it affects the crafting of a text. 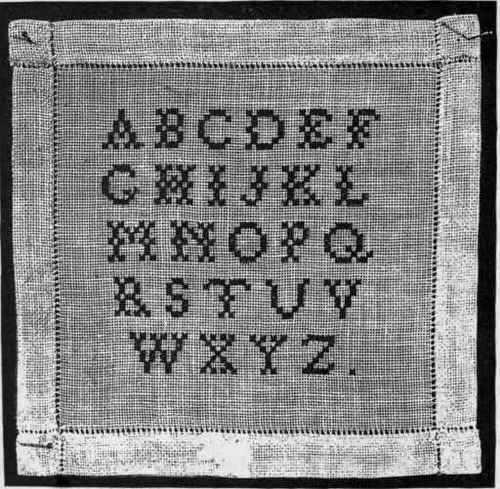 What should be ‘U’ in my Victorian Alphabet? Let me know – here, on Facebook, on Google+ or by tweeting @SVictorianist! 1. Greetings Cards: The sentimental poem in the birthday card from your nan, a token of affection from a friend overseas - every missive designed to bring a tear to the eye and warmth to your heart is officially ruined for you. Some say it’s the thought which counts, but the lack of scansion and the clichéd sentiments will make you want to run a mile. 3. Your own writing: Remember as a child how you used to ‘make books’ and write stories? Not anymore! You can’t write a line without suffering extreme anxiety, serious writer’s block, and an overwhelming sense of inadequacy. 4. Alcohol: Three years at uni and suddenly you find that far too many of your heroes were depressive alcoholics with dysfunctional relationships. Still feeling hopeful about how that ‘quiet drink’ tonight is going to go? I thought not. 5. Love: A mutually destructive but passionate love affair with a fellow writer may have its downsides as well as perks, but the truth is most lovers just won’t be able to measure up to historical examples or fictional flings. My advice? Head to bed with a book – here’s some brief suggestions if you’re after a quick rebound! How has studying English destroyed YOUR life? Let me know – here, on Facebook, on Google+, or, as always, by tweeting @SVictorianist! 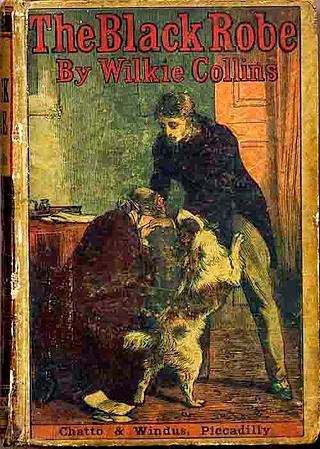 Wilkie Collins’s 1881 The Black Robe tells the story of the misadventures of Lewis Romayne in a novel which deals with depression, madness, a fatal duel, marital breakdown, capture by South American ‘natives’, ill-motivated religious conversion, bigamy and disinheritance. The somewhat mad premise is that scheming Jesuit Father Branwell is out to win back a monastery seized by Henry VIII from the Church and the novel is best-known for its anti-Catholic prejudice but there are many other reasons why this Collins novel is well worth reading. For general readers: Romayne is a deeply egotistical and irritating protagonist and, while his wife Stella is realistic and rounded, if cultivating deep sympathies with characters is what’s most important to you, you may be a little disappointed. Father Branwell, on the other hand is a wonderful villain, worthy of comparison with Count Fosco in the much more widely-read The Woman in White (1859). We are acquainted with his plotting to such an extent, through the inclusion of his written correspondence, that we almost begin to sympathise with him, making for an interesting reading experience. At times the novel feels a little uneven, especially in its pacing and use of split narration - this is a novel which reads like it could have gone in several ways and not one in which Collins demonstrates the very best of his skill in multiple narration. But the moments of wonderfully human insight, Collins’s nuanced understanding of relationships and the sensational drama of some of the novel’s incidents more than make up for it. For students: The Black Robe is obviously extremely useful in terms of understanding nineteenth-century suspicions of Catholicism but the text is perhaps most well-suited to an analysis of marriage. Henry VIII isn’t just the pretence for the plot centred on Romayne’s property but a model for the debates which follow on what constitutes a ‘true’ union. The novel sees the sensation novelist’s usual preoccupation with the legalities of marriage set alongside religious considerations (the first time I’ve seen this), while Collins also details a breakdown in communication between husband and wife in a way which recalls his The Law and the Lady (1875) and Mary Elizabeth Braddon’s Hostages to Fortune (1871), giving a wonderful insight into the pressures of Victorian domesticity. There is also, as usual, much material here for students working on madness, along with a wedding day very similar to Jane and Rochester’s interrupted nuptials in Charlotte Bronte’s 1847 Jane Eyre. Which lesser-known nineteenth-century novel should the Secret Victorianist review next? Let me know – here, on Facebook, on Google+ or by tweeting @SVictorianist.